I often need to search or print a man page. Executing the man [-a index] name command invokes a readonly navigable viewer of name[(index)]. For example, the command below displays open(1). The command below displays open(n). Is there a way to use the Terminal application to involve a viewer where I can search and/or print a man page? Typing just the command name in Terminal and then right-click on it and select Open man Page, displays it in a fully scrollable and searchable Terminal window, which is much better then typing e.g. man bash. You can also use the key combination ⌘P to print the contents. [[ ! -d $docDir ]] && mkdir -p "$docDir"
man -t "$1" | pstopdf -i -o "$docDir/$1.pdf"
So, in Terminal, typing e.g. manp bash instead of man bash a PDF gets created, if it hasn't already been, and then opened by the app registered to handle PDF documents. The default is Preview, however on my system it's set to use [Skim], as its search functionality is better then Preview and as a matter of fact will find the search string when Preview just will not. Note that the first time the function is used it will enumerate some fonts in the output in Terminal, however this is a one time enumeration of the fonts. 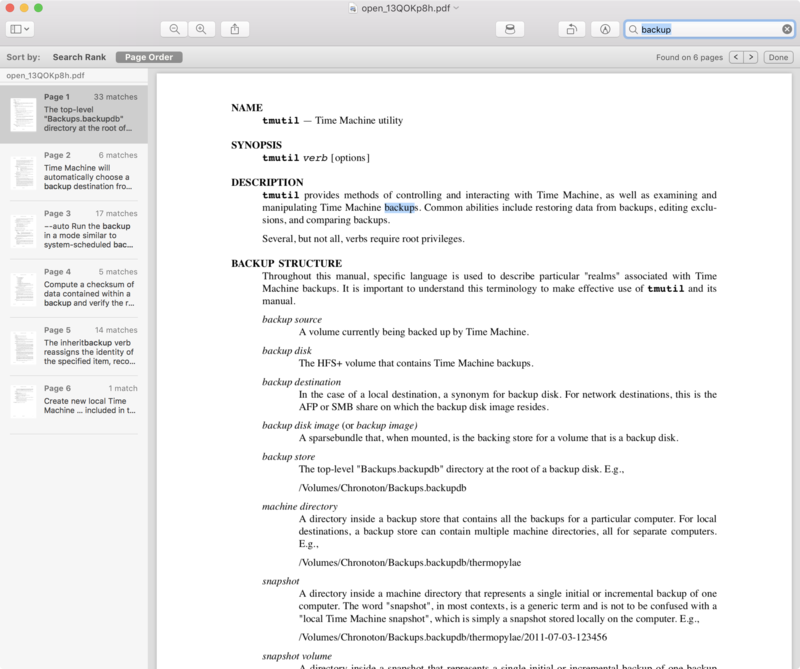 man -t yourcommand | open -fa "Preview"
where yourcommand is the one you want the man page of. 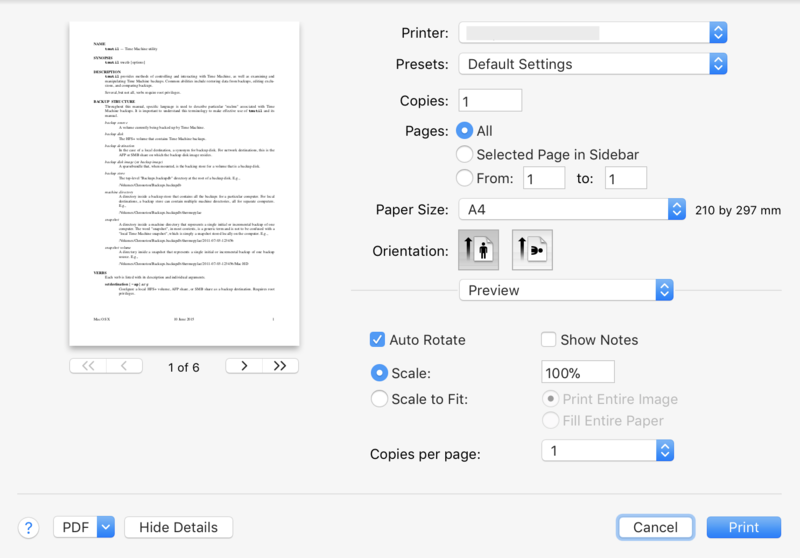 You can then use any of the normal search functionality in Preview and print the document as a normal PDF. Not the answer you're looking for? Browse other questions tagged terminal command-line printing . How Do I Use 'cp' to Overwrite Files? Is there any Terminal command to find the files installed by a particular App?